The definition of joy is the look a child gets about two seconds after being told they’re going to Disneyland. I still remember doing hot laps around the living room screaming "I’m going to Disneyland!" For parents, however, the bill that comes with a trip to Disneyland is enough to make Uncle Scrooge cringe. You cannot imagine how many clients I’ve had looking for cheap vacations to Disneyland, which is like asking for a tall jockey: it ain’t gonna happen. As entertainment costs continue to soar, parents are finding it more difficult to foot the bill at Disneyland. Here’s an explanation of how you can save a bunch of money on your next trip. Take advantage of vacation package deals. Disneyland offers two package deals on the cheap that may actually save you money and get a whole lot more value: the Resort Hotel Package and the Good Neighbor Hotel package. The Resort Hotel Package includes a five night stay at any hotel on the Disneyland property (e.g. Paradise Pier, Grand Californian Hotel, or the Disneyland Hotel). It also includes free parking, free transportation to the parks, and a special entrance into the California Adventure. Good logistics, but what will really make your kids day is the phone call they get from Mickey himself! Just imagine how excited they’ll be when they get to talk to the Big Cheese himself, before heading out for a day of adventures! You’ll also get complimentary admission to the parks, and preferred seating at any shows. No joking around here; Mickey can shake the dollars out your pocket faster than any Las Vegas card shark… after all, your kids don’t look at you all wide-eyed and ask "Daddy, can we bet it all on black?" Preparing a budget beforehand will help you stick to it. Plan your meals. Most first timers to Disneyland scoff at the high ticket prices, only to be shocked at the high costs food. Here you have one of two options: you can either pack in your own, or bite the bullet and purchase a meal plan. Though a meal plan may seem expensive at first, it really can save you a bundle of cash, especially if your whole family is there. Alternatively, I suggest getting a large breakfast before entering the park, and packing a small lunch during the day. You can always check a bag in a locker, and return for it the afternoon/evening. You can also take an afternoon break from the park, and head back to your hotel room for a siesta. This will give the kids (and you) a chance to rest before reentering the park that evening for the fireworks display (a definite highlight). 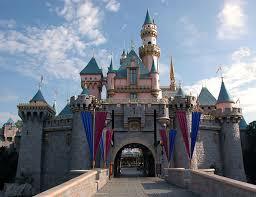 In conclusion, you can learn more about Disneyland magic vacations and magic vacation packages at Travel-Smarts. This entry was posted in Destinations and tagged california, cheap, disneyland, family, official, package, packages, vacation, vacations. Bookmark the permalink. Wow! thank you! I always wanted to write in my web site something like that. Can I take part of your place to my web log? I actually like the article I will be linking back. Hold up the superb work. Look forward to studying more from you in the future.